Between 1936 and 1952, a massive engineering project took place in order to provide New York City and surrounding localities with additional drinking water. The purpose of this exhibit is to raise public awareness concerning the impact that the Rondout Reservoir had on the displaced communities of the Lackawack Valley. It is hoped that it will provide an appreciation for the pure water we may otherwise take for granted. The exhibit draws from extensive primary source documentation contained in the collections of Ellenville Public Library & Museum. 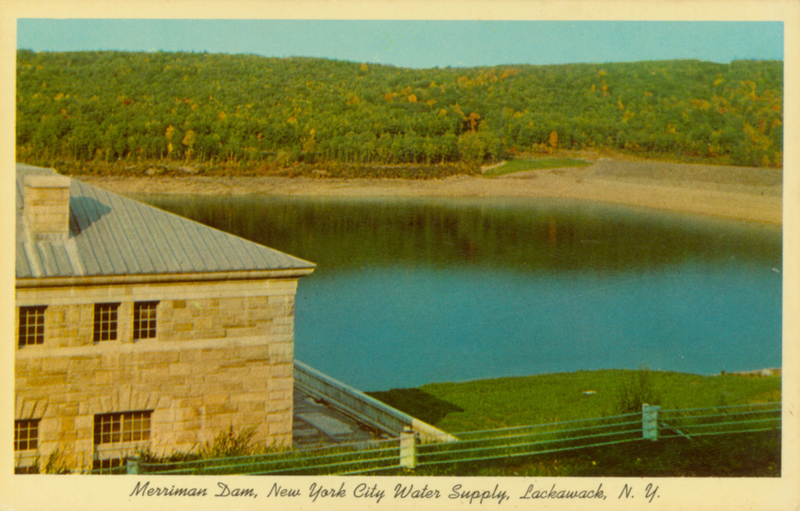 The serenity of this postcard view of the Rondout Reservoir belies the turmoil which befell the Lackawack Valley some eighty years ago. What follows here is the story of the places and people who no longer exist there because of "Thirsty New York," 100 miles away. This exhibit was created by the Ellenville Public Library & Museum. For more online exhibits and digital collections, visit Hudson River Valley Heritage.